Dirk Frimout flew as Belgian payload specialist on the ATLAS-1 mission (STS-45) from 24 March 1992 until 2 April 1992. 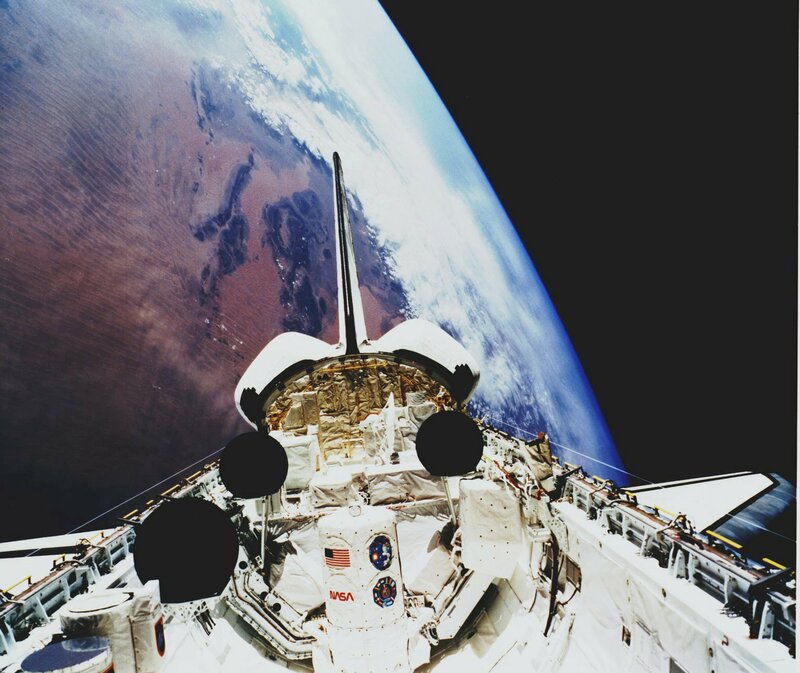 The STS-45 mission marked the first flight of the Atmospheric Laboratory for Applications and Science-1 (ATLAS-1), mounted on non-deployable Spacelab pallets in the orbiter cargo bay. Launch: 24 March 1992, 8:13 am EST. Launch originally scheduled for 23 March, but was delayed one day because of higher-than-allowable concentrations of liquid hydrogen and liquid oxygen in the orbiter's aft compartment during tanking operations. During troubleshooting, the leaks could not be reproduced, leading engineers to believe that they were the result of plumbing in the main propulsion system not thermally conditioned to the supercold propellants. Launch was rescheduled for 24 March. Launch weight: 105,982 kilograms (233,650 lb). Landing: 2 April 1992, 6:23 am EST, Runway 33, Kennedy Space Center. Rollout distance 2,812 metres (9,226 ft). Mission extended one day to continue science experiments. Landing Weight: 93,005 kilograms (205,040 lb).